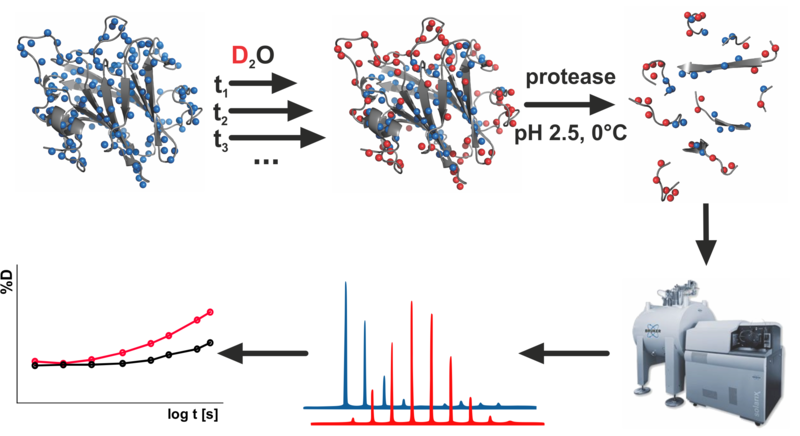 Joint paper with Ales Hnizda on structural characterization of pyrophosphatase NUDT15 and its thiopurine intolerance causing mutations is now available in Biochimica et Biophysica Acta (BBA) - Proteins and Proteomics. We recieved funding from Czech Science Foundation to study protein structure by reactive radical footprinting and top-down mass spectrometry. Paper on Hsp70 dimerization - our collaboration with RECAMO team - has just been accepted in Mol Cell Proteomics. Our work about structure of NK cell receptor Nkrp1b is now in Journal of Proteomics. 2nd International HDX MS Conference will be May 21-24, 2019 in Banff, Canada. Our lab is a part of Horizon 2020 project EU FT-ICR MS (reg. no 731077). Through this project you can access our expertise as well as other participating FT-ICR labs. Check Trans-National Acess web section for more details. Also, various FT-ICR focused courses and schools are organized by the labs participating in the project. Bachelor and master theses are available in the lab. Areas of structrual biology, cutting edge mass spectrometry and cell signalling are awaiting new students. Check the tab Teaching. Laboratory of Structural Biology and Cell Signaling consists of a multidisciplinary team whose thematic focus is divided into two main directions. 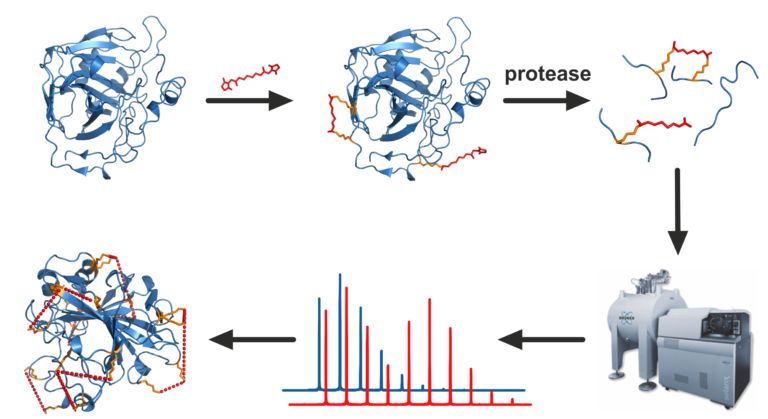 Structural biology group produces proteins by recombinant expression technologies and characterizes the protein or protein-ligand structures and their dynamics utilizing advanced mass spectrometric techniques. Cell signaling unit examines the linkages of cellular signaling to the metabolism of cancer cells using molecular biology and biochemistry methods. Through the collaboration of the two groups a unique research platform is formed, wherein the results obtained by the study of biological systems can also be verified and explained at the molecular level. Laboratory is located at the BIOCEV center in Vestec.